Godello is a white-wine grape originating in the northwest of Spain, probably from the province of Galicia (just north of Portugal); it is said to reach its acme in the small Valdeorras appellation within Galicia, and does not seem to be grown much elsewhere (though it may be that some Portugese plantings under another name are also really Godello). Godello is another modern "rescue project": by the 1970s, the grape was nearly extinct, but a couple of enthusiastic advocates brought it to world attention with striking renditions, and it is today a major player in Spain and, increasingly, on the world stage. Godello is now one of Spain's two premier white wines, sitting beside Albariño in that capacity. 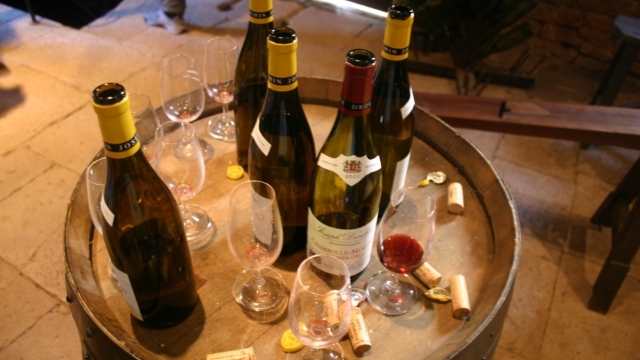 Because it is still a developing effort, the wines can be found in quite a variety of styles (not unlike Chardonnay, to which some compare it). One key difference in styles (again as with Chardonnay) is the presence or absence of oak in the vinification: steel-tank Godellos tend to have, as one writer puts it, "a fresher, livelier quality", with more minerality and forward fruit; oak-aged Godellos tend, in that same critic's words, to be "richer, fuller wines", often with the "creamy" quality that comes of lees contact. The difference may be more a matter of personal taste than of better/worse, though not a few wine writers have expressed a clear preference for the unoaked versions (though others much prefer the oak). One regional winemaker remarked that he, too, prefers the unoaked style, but also makes an oaked version just for the American market. So. The essence of Godello (or at least unoaked Godello) seems to be minerality and acidity, but the extra that distinguished it from many other serviceable varieties with those qualities is a richness of fruit and wildflower flavors and a somewhat denser body than the usual all-mineral white wine. Note that Godello is sometimes confused with Verdelho, which is a different grape, but was (and is) a name sometimes used for Godello, and also the Portugese Gouveio, because Gouveio was often used as a name for true Verdelho (yes, the world is a funny old place). Factoid: Pliny the Elder, writing in the first century, described a widely grown Spanish grape that may well have been Godello. "The wines, sometimes made solely of godello, other times blended with local grapes like treixadura and albariño, remind me of chardonnay, at least in the sense that the godello grape is versatile and somewhat neutral, greatly reflecting in its aromas and flavors the methods of the winemaker. What’s less clear is whether godello, like chardonnay, excels at conveying subtle but profound differences in terroir, that scary French word that simply refers to specific combinations of soil, climate, altitude and exposition that characterize the site in which grapes are grown, along with the human involvement. Some people have already made up their minds about godello. Gerry Dawes, who has been writing about Spanish wines for decades and who recently went into the importing business, has called godello “Spain’s emerging hope as an equivalent to the great white Burgundies.” Others aren’t so sure." "The more I taste this north-west Spanish white wine variety, the more I love it. . [It] combines the structure of white burgundy with the finesse of a juicily mineral grape. . . Godello is a variety that is well capable of making wines that improve with age." "Though not as effusively aromatic as albarino, the most popular grape from this part of the world, godello has more body and richness and is often marked with yellow apple fruit, sometimes apple skin. It is a sponge for the minerals in soil, which are generally alluvial in Galicia. In Monterrei on the Portuguese border, the days are slightly warmer than in other parts of the region, usually softening the acidity a bit. Valdeorras has slate, often giving the wines a more delicate and sometimes angular texture. 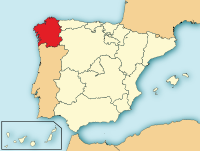 Godello is also found in Bierzo, the most western appellation of Castilla y Leon northwest of Madrid. 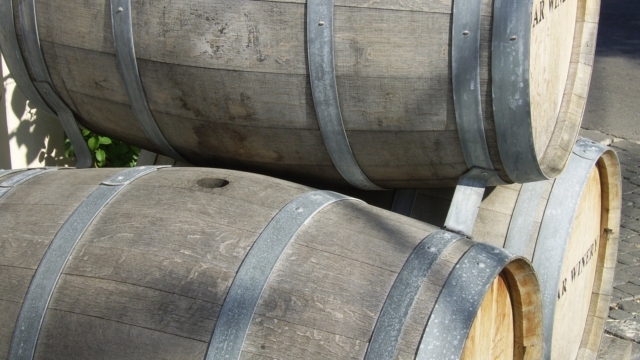 Sometimes oak is used, but as a rule, wood treatment is kept to a minimum or avoided, as it can easily mask nuances of the grape and terroir. As godello has more body than albarino, it is often a better wine at this time of year to match with the heavier winter cuisine." "These are dry, dense wines that have both fruit and acidity and can improve in bottle for many years. 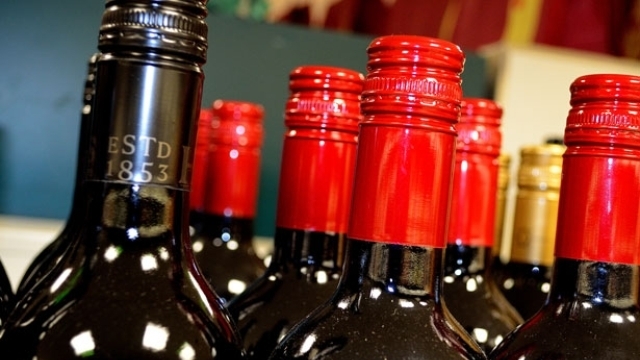 . . My only criticism is that all these wines are very good and differ less in quality than in price – but that could easily be said to be a plus point." "Godello-based wines have the big fruit, mineral notes and acidity of albariño (peaches, citrus, apple), but with a bit more body and slightly higher alcohol. While Galicia’s star albariño grape has become increasingly well known internationally, godello continues to fall below most consumers’ radar screens; this has served to make godellos excellent values. The best are from Galicia’s Valdeorras and Monterrei DOs and Castilla y León’s Bierzo DO, although quality offerings can also be found in Galicia’s Ribeira Sacra and Ribeiro DOs." "Godello is the native white-wine grape of Valdeorras, one of five Galician Denominaciónes de Origen. . The Atlantic Ocean influences the climate, but Valdeorras is 100 miles inland, and the terrain is mountainous, inhospitable to growing almost anything but grapevines, whose roots burrow deep into the rock-hard ground, clinging to the steep slopes and leaching minerals from the slate-based soil. The stresses created by this harsh landscape give Godello from Valdeorras its distinctive character. The minerals are what you’ll taste in a glass of great Godello—a delicate middle­weight with fresh lemon and wildflowers in the bouquet and a long, bracing finish. A great Godello combines the minerality of a great Chablis with the acidic snap of a Sauvignon Blanc—it comes at you quietly, with elegance and persistence. Although most Godello is vinified in stainless-steel tanks—the Galicians like it full of pure and uncorrupted fruit—be aware of a potential problem: Some producers are fermenting Godello in new oak barricas, which impart an ugly, wooden taste to the wine." "This is a wine that's fairly difficult to describe because it has such fascinating complexity. Its very fragrant nose can smell something like Champagne, with lemon and chalk. In the front of the mouth, it's light and lively and can even have a little bit of a spritz. It seems like a pleasant, fun little white. But suddenly, in the middle of the mouth, the wine gains some weight and actually reminds us a bit of Viognier, the big Rhône white. Its fruit notes are of the more subtle variety, like apple and pear. Then it finishes light and clean, with a nice little grapefruit kick, once again giving the impression of lightness. In other words, it's a versatile white that, as it happens, can stand up to spice and also pair well with lighter seafood. Fascinating -- and delicious." "Godello can be made in a minerally, slate-infused style that emphasizes crisp acidity and vivid citrus flavors (think Chablis). However, it’s the fruit harvested later in the season and fermented and aged in large oak barrels that’s potentially amazing. When Godello is done like this (the master of this style is Rafael Palacios, younger brother of famed winemaker Alvaro Palacios), the wines smell and taste more like white Burgundies from Meursault or Chassagne-Montrachet than any other white wine made in Spain." While there are numerous Godellos available, when we winnowed down by quality, price, and availability, the list shrank considerably. ♦ The colour is bright medium-yellow and it smells creamy and nutty with a touch of spicy oak among the yeasty lees-derived aromas. Soft, rich and intense in the mouth, with density and fleshy texture. A rounded, generously flavoured white. ♦ One of the undisputed Kings of Godello production, winemaker Rafael Palacios has crafted a Godello to rival the finest white wines of the world. Vinified and matured in oak foudre from Normandy, this example from the Valdeorras region shows great complexity, elegance and finesse. Expect tropical fruit, a smooth texture and a smoky finish! ♣ Wine Advocate (June 2011), 91 points. ♣ International Wine Cellar (September 2012), 92 points. ♦ The 2010 Louro is 100% Godello aged for 5 months in foudre. Fragrant minerals, fennel, and white fruits lead to a creamy textured, richly fruity palate. Impeccably balanced and very lengthy, it is an outstanding value that will provide pleasure for another 3-4 years. Rated An outstanding wine of exceptional complexity and character. ♦ Pale yellow. Bracing aromas of pink grapefruit, lemon zest, white flowers and anise. Dense, lively and penetrating, with racy acidity sharpening citrus and pear flavors. Stony, uncompromising and pure, with very good finishing lift and cut. ♦ I was struck by the vibrancy of the wine, with its complex, well-knit layers of savory mineral, lightly toasted and fresh herbs, beeswax and citrus on a firm structure. 90 points, non-blind. Deeply glad that I was able to concentrate for the first time all night, I kept coming back to my glass to study the aromas and flavors. Godello can produce fascinating wines worth checking out if you find them, and this one showed that, when done right, looking back to the past can carry you well into the future. ♦ I rated the 2007 vintage of this Spanish wine in 2009, and almost 4 years later, this wine remains one of my favorite whites. . This wine shows both the complex and friendly sides of Godello: round, lemon, slightly tropical fruit, but with great acidity and just enough oak smoke for some complexity. . . Louro do Bolo, [as compared to the same maker's As Sortes Godello], offers glimpses into greatness, but in a much more approachable and friendly package! It is made from grapes from slightly less older vines than the As Sortes and is fermented and aged in large-format foudres, giving only a subtle oak complexity. This wine is steely enough to go with seafood, yet has some roundness, smoke, complexity that makes it easy to go with so much more! Try it with some mussels in a robust sauce…it’s one of my favorites with big cheeses. It’s a lot of wine for the price and can be found in Spain for 12 euros and in the US from about 16 dollars on up…what a steal! ♦ The color is an attractive pale yellow, and the nose is rife with notes of mineral and citrus. This wine has been given exceedingly high marks by a number of critics—and for very good reasons. On the palate, it is a beautifully balanced, fresh and vibrant, tantalizing the senses with a vivid intensity and strong, lingering finish. And, priced at a mere $18.99, the 2009 Louro Do Bolo Godello is also an outstanding value. Stock up while you can. ♦ The 2011 Louro do Bolo, another 100% Godello (aged 5 months in foudre), is slightly more candied and minerally as well as less seductive than the less expensive Sabrego. While it may be a more serious effort, it is also more austere and less charming. Nevertheless, it is very good and well worth trying, particularly at this price. ♦ Discreet, fine, appley aromas. The wine gets more and more intense on the palate, with a nice, persistent fresh finish. Great stuff. 92 points. ♦ It is a clear white wine, pale straw in color with moderate viscosity. On the nose it is clean with medium+ intense aromas of peach skin, lemon zest, melon and salty sea breeze. On the palate it dry, somewhat tart and very crisp with high acidity, medium- body and a long finish. ♦ In the nose atacks with pear, lychee, citrus, fruit and hay notes. In the palate is smooth, salty, easy to drink, light and with a bit metallic taste. ♦ Apple, nectarine, lees and briny aromas steer this Godello toward a round, full palate. Slightly bitter flavors of melon and peach finish much like the wine starts—briny and leesy. This is also pithy tasting, like the inside of a grapefruit peel. 88 points. ♦ Valdesil make Godellos at four different quality levels. The basic Montenovo is made in tank without much fuss whereas the Valdesil Sobre Lias has a deeper flavour thanks to being enriched by prolonged lees contact. ♦ An aromatic, elegant nose of apple, citrus and yeast notes leading on to a rich, creamy palate of apple, citrus and butterscotch with a mineral finish, a slightly savoury quality and good acidity. I absolutely love this wine. 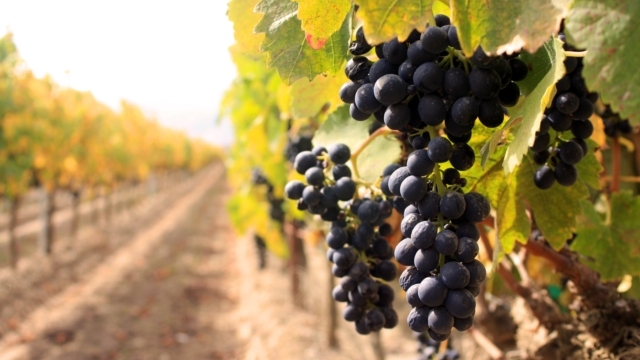 ♦ The Godello grape is a fleshy, mildly tropical one but it has stunning, palate-cleansing acidity which snaps your taste buds back into order after each creamy sip. Hauntingly beautiful and heavenly with fish dishes this is a dreamboat of a wine and a grape variety which you should introduce yourself to as soon as you possibly can. ♦ Leesy white-fruit aromas come with hints of corn and slate. This feels plump but not too heavy to be cut by a beam of firm acidity. Chunky leesy flavors of apple and kiwi finish fleshy, pulpy and round. 88 points. Rafael Palacios was highly influential in getting Godello back on the map, and his renditions are much esteemed. His flagship bottling is the Valdeorras Bodegas Rafael Palacios "As Sortes" Val do Bibei Godello.